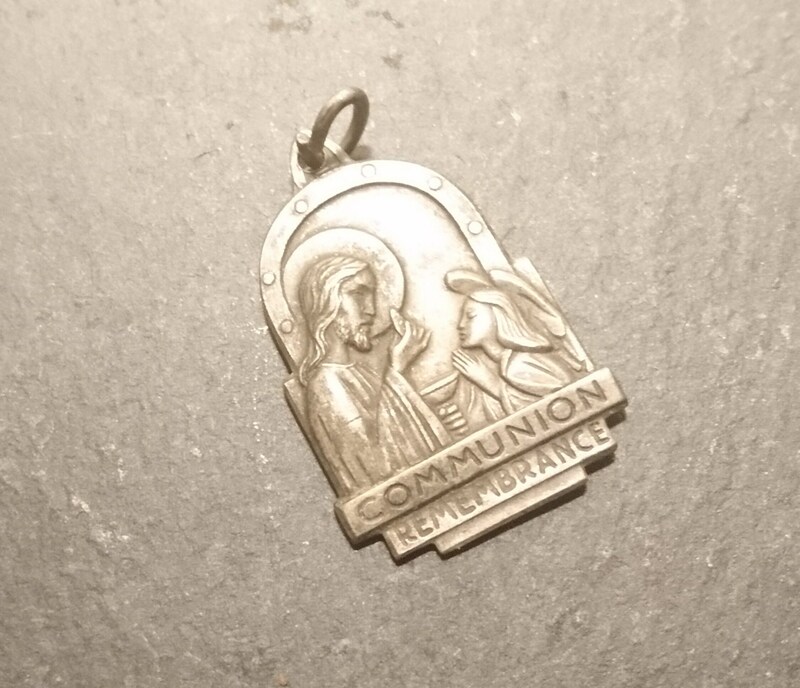 A lovely vintage silver pendant, for first communion remembrance. 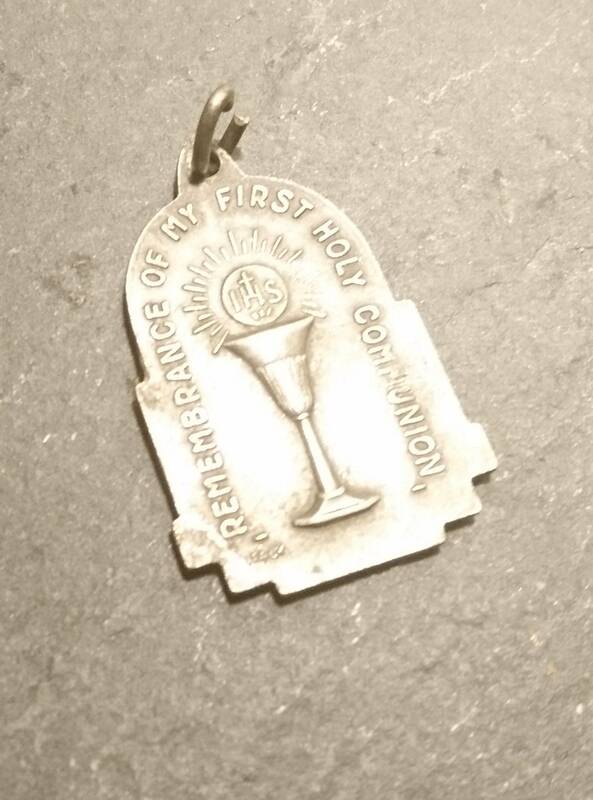 Made in Italy from unmarked silver tests as 800 silver, marked Italy. 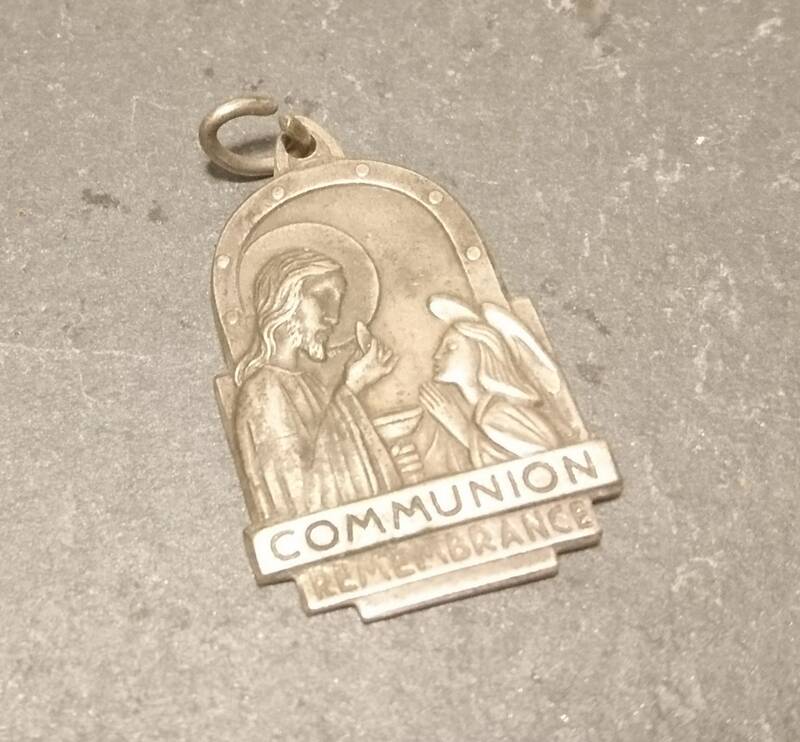 The front features jesus with a child and the text communion remembrance, the back reads in remembrance of your first communion. 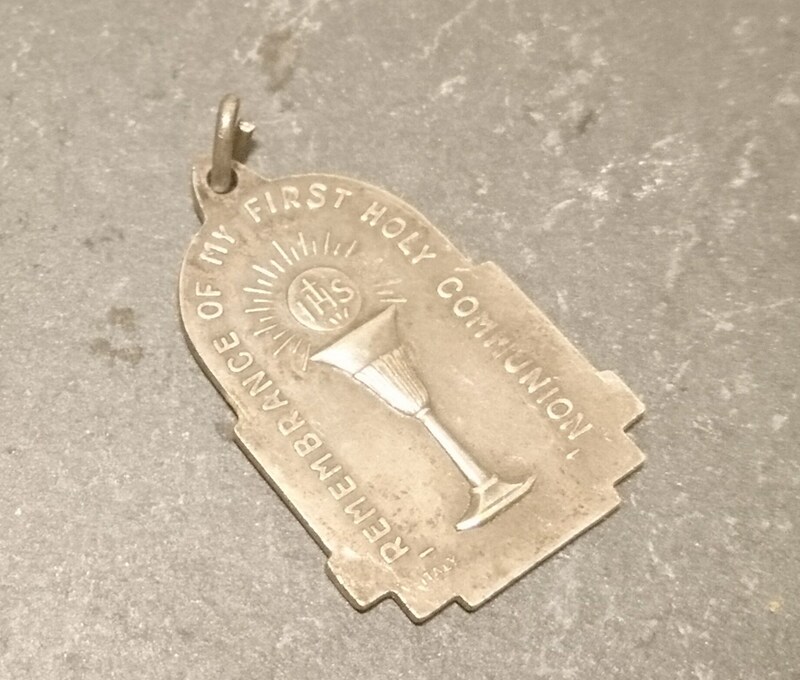 Good vintage condition c1920's some wear and ageing as to be expected.